When there are millions of eCommerce websites selling millions of products, the only way to survival is for your eCommerce store to convert your site visitors into customers. Running your site on Magento does give you the added advantage of having an awesome eCommerce website. But, the real challenge lies in how you understand your site’s functionalities and then tweak them to reduce the shopping cart abandonment and increase conversion rate. 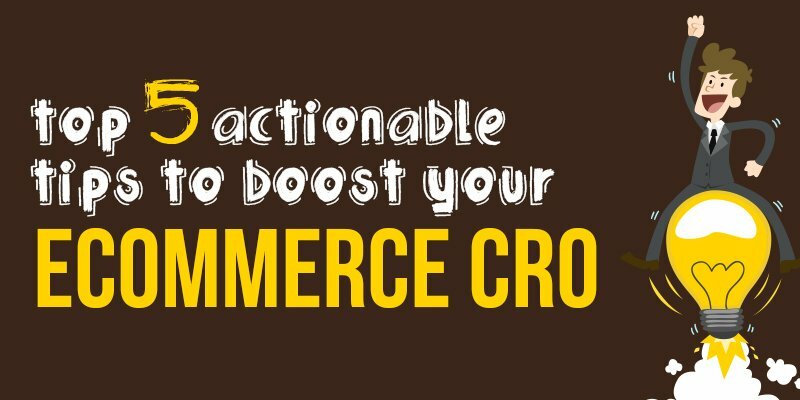 There are numerous tools that can be used to boost your eCommerce sales. But it doesn’t stop there – Once you understand the key areas that are stopping your customers from buying, you can utilize more tools to get them back to your site. It’s a lot of work, but that’s just the way eCommerce is. Our Magento conversion rate optimization team has worked with lots of eCommerce shops, implementing measurable and positive changes to increase sales. To help you, our Magento CRO Team created an infographic with our findings about the best tools/tricks to use to increase sales, highlighting the5 actionable parts of your website that can work magic in increasing the CRO.